Introducing the essential Korean design elements, Samsonite RED aims to capture the attention of all fashion-conscious youths by launching different type of daily bag collections, including backpack, shoulder bag, casual bag, briefcase … The brand has always been popular among Korean youth and was introduced to the Hong Kong market in 2011. Lots of collections beautifully mastered the Korean design style in every sense while also maintaining the functional features, making the collection popular among the young group. 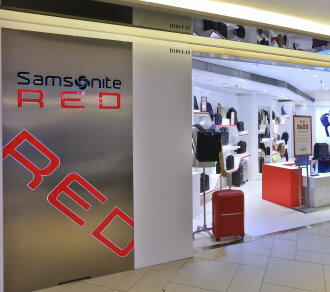 Remembering past triumphs but always looking forward by identifying trends and the continuing evolution of global market needs, Samsonite maintains a worldwide vision that continues to enable users to travel further, with more innovative products, like Samsonite RED, at his side.